You are at:Home»Questions & Answers»What are Some Tools To Analyze Muscle Mass and Body Fat? I’m 63 years old and I currently weigh about 180 pounds. I’ve been following a training regimen and working out hard for over 20 years. Although I have built up some quality muscle over the years, I also have a solid layer of body fat that I can’t seem to get rid of and it’s really starting to bother me. I want to start changing up my weight lifting and cardio workouts but I also want to track my progress to make sure I’m actually losing fat and not sacrificing muscle. Do you have any recommendations for the best products to use so I can get an accurate percentage of my current body fat levels? I want to congratulate you for living a healthy lifestyle and keeping up with your fitness plan well into your 60’s, what an amazing job! 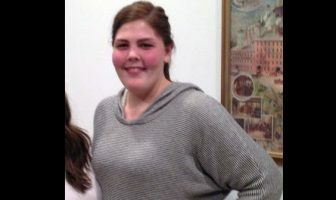 You are truly an inspiration to so many and I just wish more people your age would adopt a fitness plan into their lives. It’s unfortunate that as people age they tend to lose their motivation and inspiration to keep up with your workouts and healthy diets. Our country would be so much more productive and we would lessen the burden on our health industry if we all followed your lead and became more active. I also think it’s great that you are willing to continue to make changes in your workout plan. Changing things up every once in a while is a great way to provide an extra shock to your body and it helps to keep your workouts fun and exciting. Doing the same routine over and over again is one of the biggest reasons why people tend to burn out with their fitness program, so I really like your plan on mixing in different weight training and cardio workouts to stimulate muscle growth and help burn body fat. Tracking your results is very important and ShapeFit offers a great fitness app called FitTracker which allows you to track and monitor your workouts and exercise plan along with your fat loss progress by monitoring your body fat levels over the course of weeks, months and even years. This allows you to pinpoint areas of your diet and exercise plan where you can improve upon so you can ultimately get closer to reaching your fitness goals. For recommendations on specific body fat testing products, it’s critical to use the most accurate methods that are currently on the market. The best ones out there are the hydrostatic weighing method where you get dunked into a water tank and a method called the Bod Pod which uses air displacement to analyze your fat and fat-free mass. 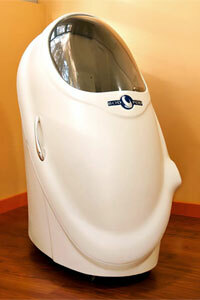 Out of the two methods, the Bod Pod is going to be your best bet. It’s much cheaper than the hydrostatic method and it’s much easier to find a location that has a Bod Pod available. The process of using a Bod Pod is also much more comfortable when compared to being dunked into a big tank of water and then having to hold your breath for several sessions using hydrostatic weighing. Using the Bod Pod to measure your body fat percentage is super simple. You basically sit inside of machine that looks just like a pod and after about 5 minutes, your body fat percentage is accurately measured. If you call your local gym you should be able to get some recommendations on different companies that offer the Bod Pod service. Some of the bigger gym chains like Powerhouse Gym have Bod Pods located inside their facilities and they offer the services for under $100 per session. You can also look online for locations around your area that might have access to Bod Pod machines. Try to check your body fat levels once per quarter (4 times a year) for the best results. It’s amazing how drastically you can make changes in your physique in 90 days, so it’s always good to monitor your body fat percentage several times a year to make sure you are on the right track and reaching your physique goals!